Practical Tools for the Future Yoko Koyama '19 put her W&L learning to work this summer at National Instruments Japan. 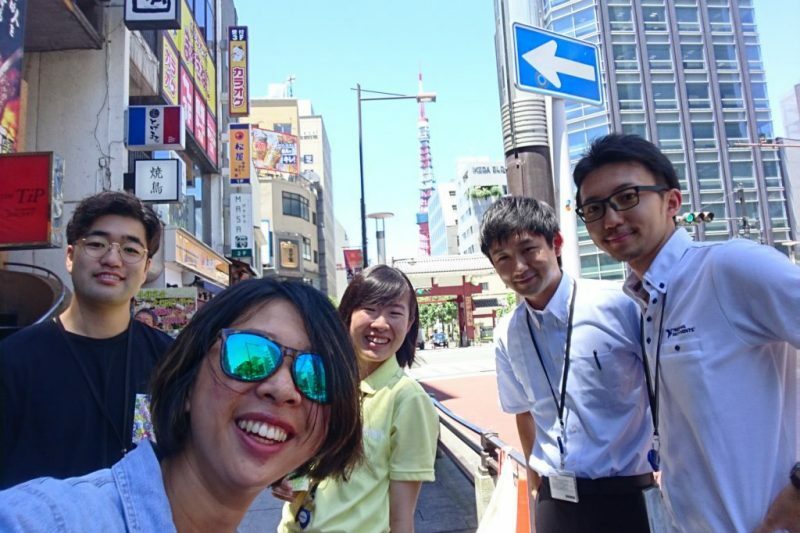 Yoko Koyama ’19 (in sunglasses) poses with colleagues at her summer internship with National Instruments Japan in Tokyo. 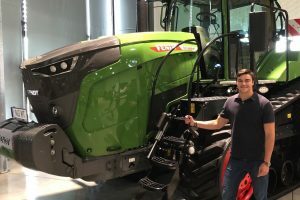 What did you do this summer at National Instruments Japan in Tokyo? 1. A room monitor. The room-monitor module has two sensors and shows real-time room temperature and CO2 concentration. 2. A tree-planting game with LEGO Mindstorm robot controlled by Wii Nunchuck. The aim of the game is to have a player (potentially a child) controlling the robot with a Wii Nunchuck to “plant” a tree, or move a tree-like object to the designated area as fast as possible. The tree-planting game module is a game in which multiple players can compete with each other to plant a designated number of trees within a certain time frame. What made you want to be a part of this work? I wanted to learn something new about engineering, regardless of the field of engineering. Although I have some specific academic interests, I thought it would be better to experience something outside of my academic background/major. Also, I thought it would be great to get familiar with the working culture in Japan in case I want to go back and work. During the first two weeks, we came in at 9 a.m. and sat through the LabView lectures until noon. After that, we had one hour of lunch break (my favorite time of the day because there are so many great take-out restaurants in the area). Lectures resumed at 1 p.m. and we went home at 5 p.m. For the rest of the month, we worked on our project from 9 to 5, excluding the lunch hour. Some days we worked until 6 in order to accomplish what we planned for the day. What was the most interesting knowledge you picked up? The most interesting thing I learned is about how to take data through serial communication and interpret it. Did the internship challenge you in any way? I have too little experience on coding and C language, which made it hard for me to do every task as fast as other interns. Other interns had more experience, to different extents. I felt pressured in a good way, and I learned a lot from the company as well as from my peers. How has your work this summer impacted your future plans? I initially thought that working in Japan, regardless of which company you work for, would be dull and tiring. However, this experience changed my perspective. I met so many brilliant workers at NI’s Tokyo office and it was a real pleasure hanging out with them after work. I feel better about having a career in Japan now. The classes I thought were boring and useless–Circuits and Intro to Engineering–prepared me for this internship. Dr.Erickson and Dr. D’Alessandro, I see you now. Circuitry and elementary coding are applicable to many different engineering fields. This experience gave me practical tools to facilitate and plan my future research. I learned how to use hardware and software (LabView) to take and process data, which is a crucial experimental procedure for almost any lab conducting any research. 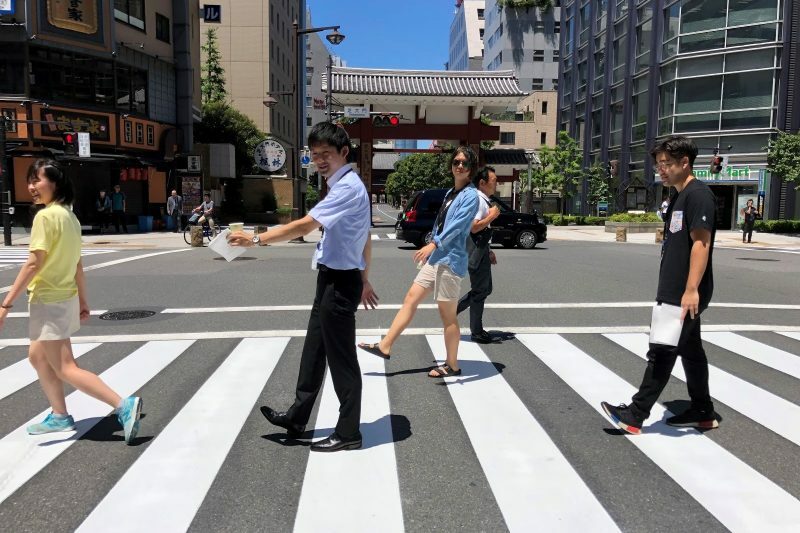 Yoko Koyama ’19 (center) with colleagues at her summer internship with National Instruments Japan in Tokyo. I am involved with Engineering Community Development, and on a leadership role within the community. I also like to play basketball—Since there is no organized basketball club, I play pick-up games in the gym. Please come join me on the court if you like basketball, too! At first, I was trying to decide between chemistry and engineering, but my initial academic advisor told me to choose engineering because I like to create something new and implement ideas. Prof. Jon Erickson—because of him, I got both my research experience and internship experience in one summer. He found a professor on Google doing research that lines up very well with my independent research, and encouraged me to get in touch with her. Consequently, I got a wonderful opportunity this summer to conduct research on potable water treatment targeting rural developing communities. Don’t make decisions until you really have to. Over the past few years in college, I learned to keep my options open until the last minute because so many things are beyond my control and so many things can happen unexpectedly. Keeping my options open is the best way I can protect myself and get the best out of all kinds of scenarios in life! I wish I’d known that it would be very difficult to come and go from campus on weekends and short breaks (less than a month). It is very hard to get around unless you have a car. 2) Enroll in a Ph.D program in environmental engineering with focus on water/waste treatment in the U.S.
3) Get a job in any engineering, in any country on the globe! My friend invited me to go to the Halloween party held at the Village last year, which was my first time dressing up and disguising as someone else. It’s been my favorite W&L memory because it seems like, on that day, nobody cared how you appeared and nobody was judging anybody based on their appearances/race. I know how to say “hi” and “thank you” in 11 languages. I wanted to truly immerse myself in American culture, and to do so, I thought it would be better to go to a school without too many international students. With the best financial aid offered among all the schools I applied to, I was sure that I would get the true American immersion as I wished.